Adult conversion rails sold separately. Manufactured to the highest safety level. 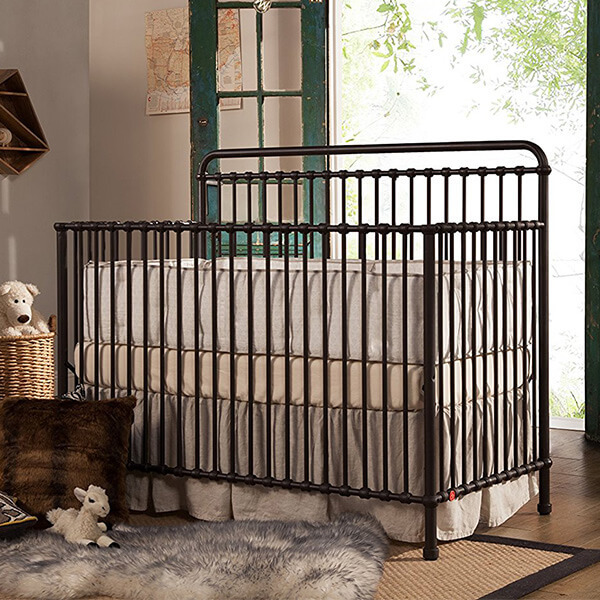 Fashioned out of metal, the Baby’s Dream Cirque Convertible Metal Crib is a classic design that can suit any nursery. This crib can convert into a standard full size bed in order to grow with your child. It has met all of the regulations of the JPMA. 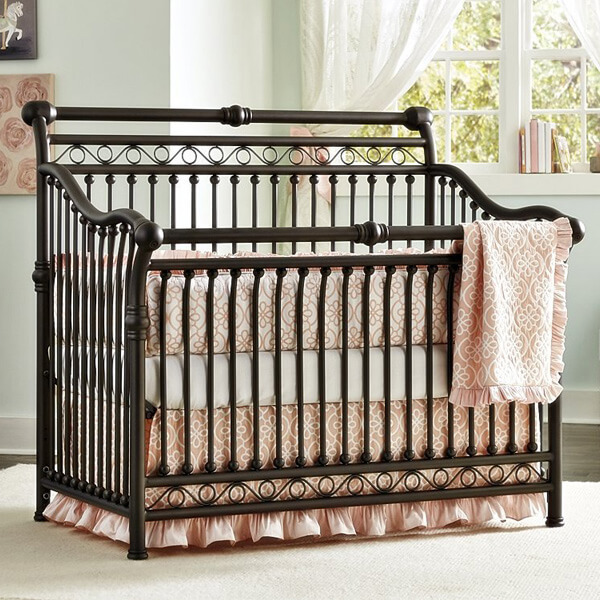 The Franklin & Ben Abigail 3-in-1 Convertible Crib is made from durable iron and has a classic metal casting at each of the joints. It is finished by hand with nontoxic paint and staining and converts into a toddler bed, daybed and a full sized bed. 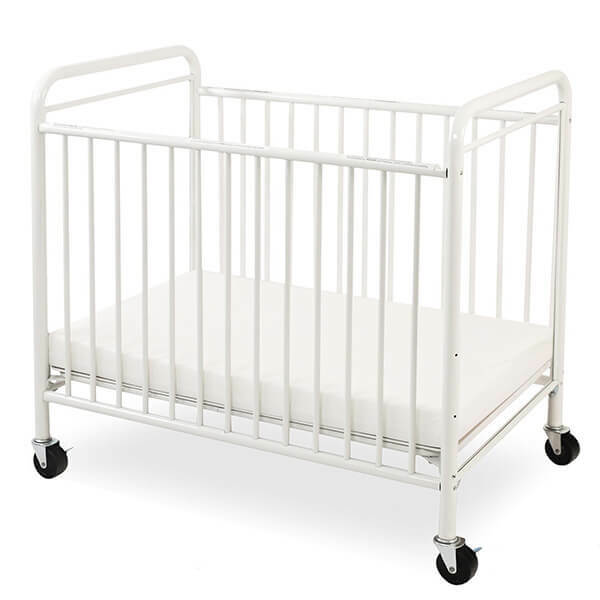 The Cosco Applegate Metal Crib features a standard metal design that is finished in a clean white color. This crib has been finished with white paint that is nontoxic and has been tested for other toxic elements. The ends of the crib have been rounded for safety. Able to convert into a toddler bed and a day bed, the Franklin & Ben Winston 4-in-1 Convertible Crib is made out of durable iron and can grow as your child grows. It has been hand finished with nontoxic paint and stains to make it unique. 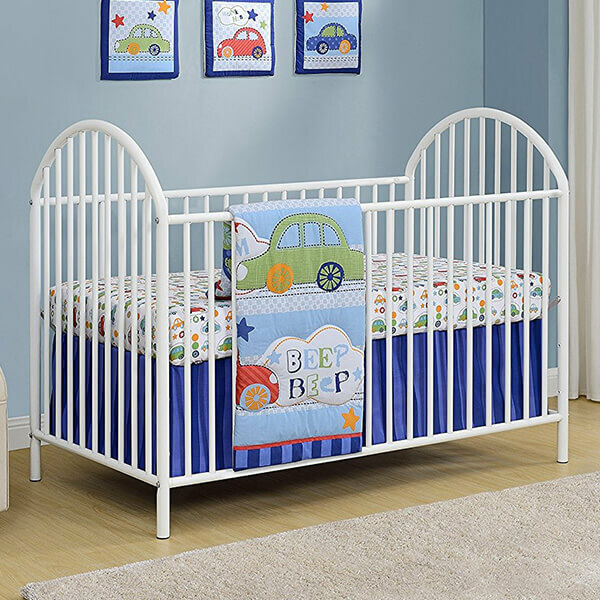 Sturdy metal construction with a non toxic baked on finish which is easy to clean; Reinforced three position posture board adds strength and convenience to this crib. Heavy duty casters, two of which are locking, make it easy to move from room to room or outdoors in a fire drill. Commercially rated for use in day cares and preschools; Foam bumpers protect doorways and other furniture; Bilingual instructions in English and Spanish. Includes 3″ X 24″ X 38″ vinyl covered foam mattress that is compliant with Federal Flammability standard 16 CFR 1633. Meets the Mandatory CPSC 16 CFR 1220 regulations for non-full size cribs; Meets ASTM 2710 commercial crib regulations to withstand the rigors of a day care or other commercial environments. 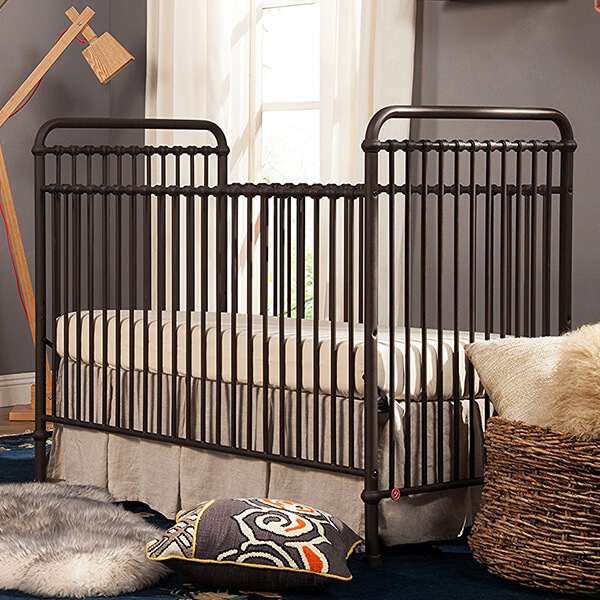 Stripped down to its basics, the LA Baby The Condo Metal Evacuation Window Crib is able to fit into any nursery space. This bed is made up of a durable metal that has been finished with a nontoxic bake. Simple to clean, it comes with a three-position posture board. Cosco Prism Metal Crib requires assembly upon delivery. 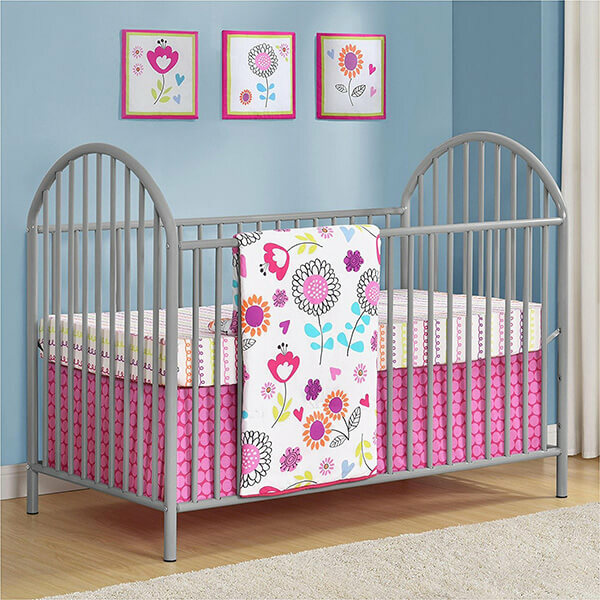 The Cosco Altra Prism Soft Grey Metal Crib is rounded and safe for your baby. It comes in a neutral soft gray that allows it to work in any nursery. This crib has three different mattress heights to choose from and fits a standard sized crib mattress.